For Day 2 of Kids Clothes week (yesterday) I sewed the zip flys for my two pairs of Clean Slate Shorts. 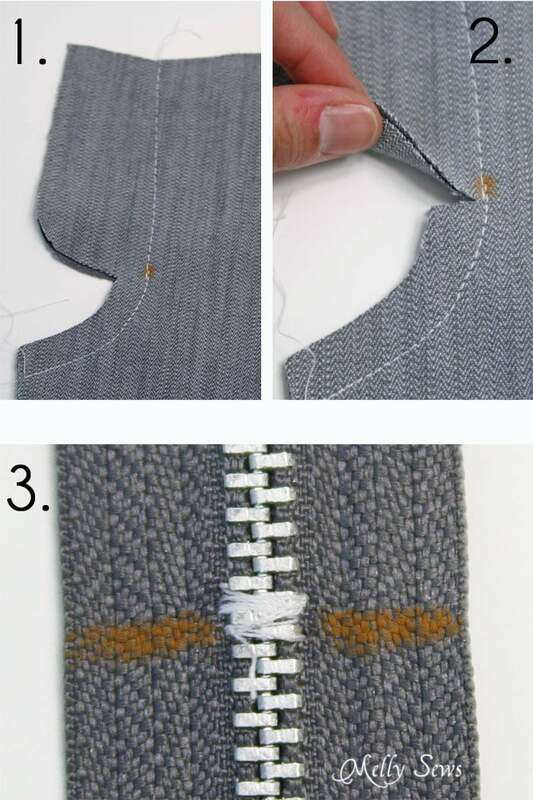 Today I’m sharing how to sew a zipper fly – the VIDEO version! 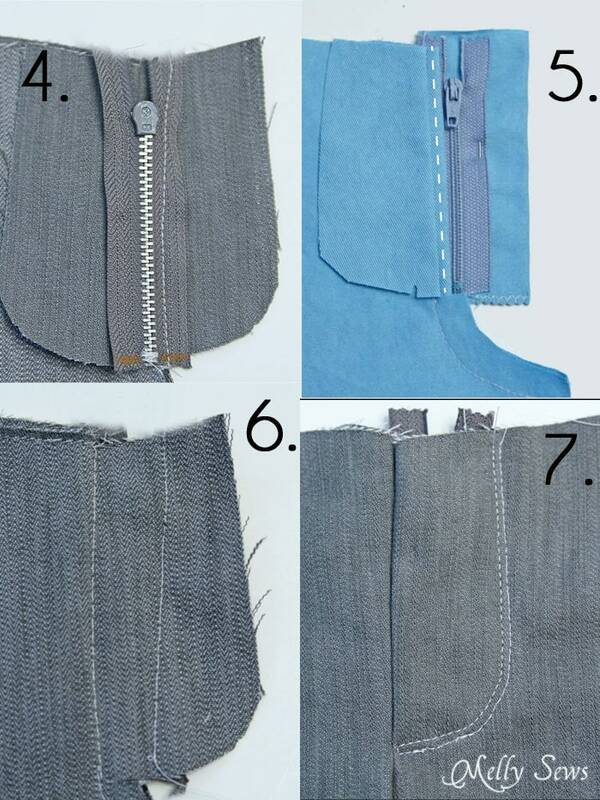 After this, there are no excuses for sewing a zipper fly – they’re easy, promise! To start, I cut out some Clean Slate Shorts, and I had my zipper. 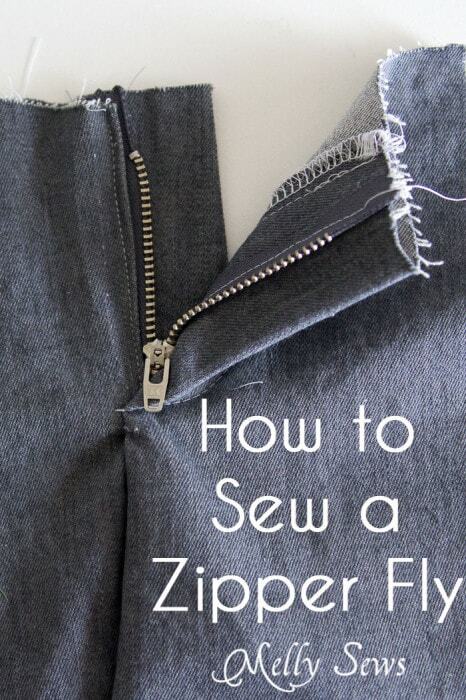 If you can’t find a tiny zipper for a fly, you can shorten one – we’ll talk about how to do that. Check out the video below for the whole process. If you can’t see the video for some reason, you can also open it on YouTube here. And in pictures, here are the steps. 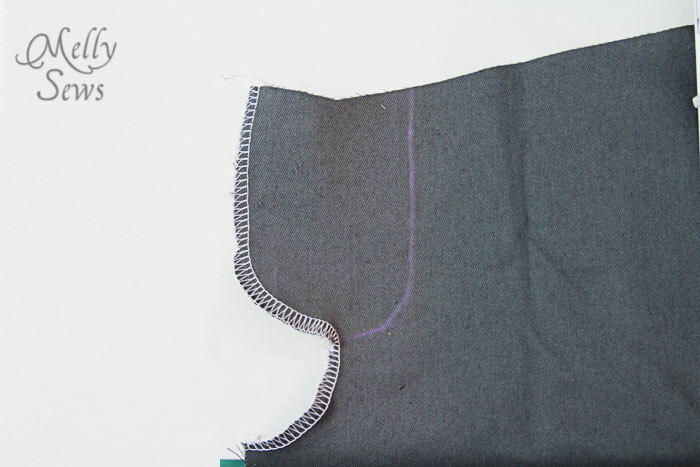 Note that in the picture below I finished the raw edge with a serger, but in the video I show how to do it with a regular machine. And in the images below I didn’t finish the raw edges at all – oops! But good to know that they haven’t been a fraying issue. Try using the link to go view directly on YouTube. I need a computer/tv in my sewing room so I can really “sew along”!!! At the 13 minute mark (approximately) did you start at the end at the base of the zipper and sew towards the waistband edge? This is a great video. I have tried watching lots of tutorial videos, and I appreciate all the people that take the time and effort to video and share their work. I find your video to be not only informative, but easy to watch and listen to. You don’t stammer over a bunch of wasted “uh, uh, uhm, uh, and uh, then uh…” Whether clear diction is your norm or whether you rehearsed the tutorial, GREAT JOB!!!!! I will be looking forward to your sewing show on HGTV in the future!!!! About that “piping” foot… it is indeed just a very “vintage” style zipper foot . And though I only see it sold for use with straight stitching machines, it is often available as an aftermarket foot, still today. A very similar style came with most Singer (and other vintage model) sewing models for well over 75 years! It was developed because you could not move the needle position, you could only move the foot. In the machine business it is typically just known as a “screw on zipper foot” rather than a “snap on ” foot…. A true piping foot is actually something very different! There is also another style of snap on zipper foot out there that is a bit different looking, found with the Singer and Viking (and other) machine models. The snap on feet are actually designed to work with machines that allow needle position movement… Picky, but using the same nomenclature seen in the manuals and such can make it easier for folks to understand the various accessories. My vintage Singer zipper foot looked exactly like this piping foot, except the toe wasn’t fixed, it had a pin it rotated on to make going over bumps easier. The reason I said this is sometimes called a piping foot (and I’m aware of other varieties) is because that is exactly what it is called in the manual of my new machine, and I didn’t want to confuse those with newer machines. Great tips especially the taping tip! Love watching your videos!!! I really should have watched this before attempting the zipper fly. I will be watching it again when I make the next pair. Thank you.